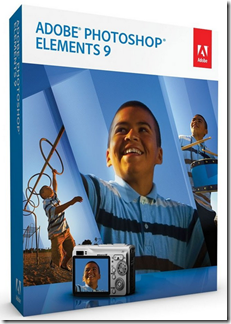 Adobe Photoshop Elements 9 for Windows/Mac usually sells for $99.99. Amazon as a part of the daily deals has the Adobe Photoshop Elements 9 (Win/Mac) on sale for $59.99 with free shipping. And you get $20 off with a mail-in rebate dropping the final price down to a whopping $39.99 with free shipping! Get on this Gold Box deal now and save some moolah. It could very well be a nice Mother’s Day gift!